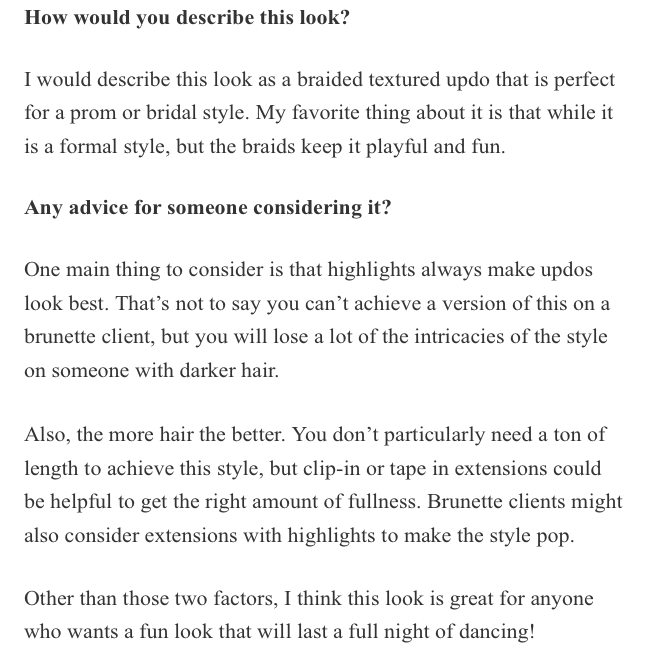 Crimson Stylist Jeanne’s Beautifully Braided Hairstyle for Prom style was featured on Latest Hairstyles! Braids are all the rage these days. It’s no wonder given how easy it is to create elaborate upstyles or to accent a fun, casual look. Try using different braiding methods like simple three-strand, French or herringbone braids. 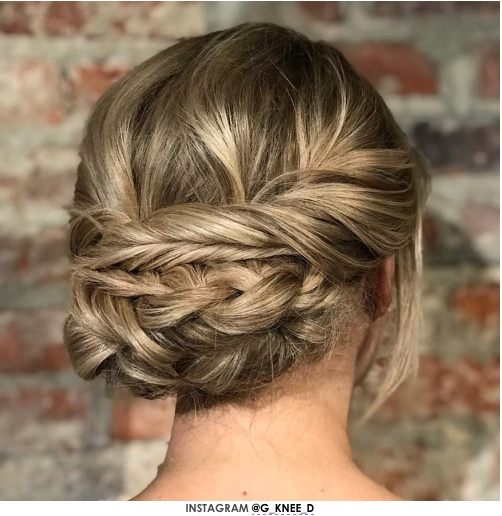 Test a whole new look by combining a few braid styles for a totally unique result. Braided looks also offer a great way to control long hair. Ultra-long hair can be braided, twisted and pinned to showcase your hair in a fresh way. Practice a few styles and don’t stress about it looking too neat. A soft, messy braided upstyle is tres’ chic for any occasion. Get your braid on with these Braided Hairstyles for Prom. Check out more beautiful inspiration from Latest Hairstyles website & Instagram!